The Pfizer Pediatric Platform products and information have been provided by Pfizer Consumer Healthcare. All opinions are my own. If you’ve ever had a child with a sniffle in the afternoon turn into a child with a fever, cough and headache at night, you understand what it means when I say Sick just got real.™. Being a parent can be so challenging, but having a plan for those times when something small turns into something bigger is the best way you can care for your child. This post is inspired by our sponsor, but includes many of our personal home remedies and ideas to help save the day if Sick just got real.™ for your family. Easy to read thermometer. Sometimes it is hard to tell if your kids have just a low-grade fever or more. Illness brings sweats and chills, and their skin can feel so much hotter than normal; it can alarm you fast. An easy to read thermometer is a must have. 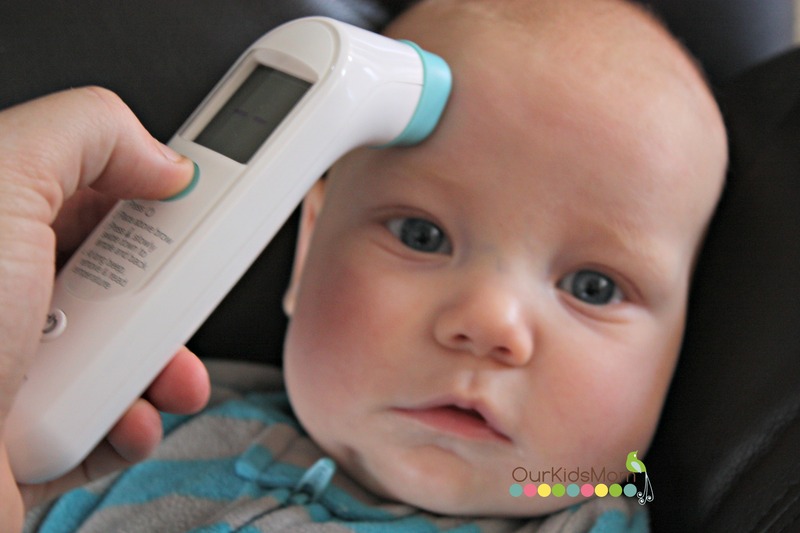 Forehead thermometers have become a wonderful addition to our first aid kit since they don’t require your child to be awake to check his/her temperature. This can help him/her rest easier, and soothe a parent’s fears. Fever reducer. When a fever happens it can also come with pain, headaches and the inability to rest easily. A quality fever reducer like Infants’ Advil® is a great choice. It will not only help to lower his/her temperature fast, it will help alleviate pain and discomfort to allow them to rest easier and heal faster. Symptom soother. Coughs and stuffy noses can keep your children from falling asleep and getting much needed rest. 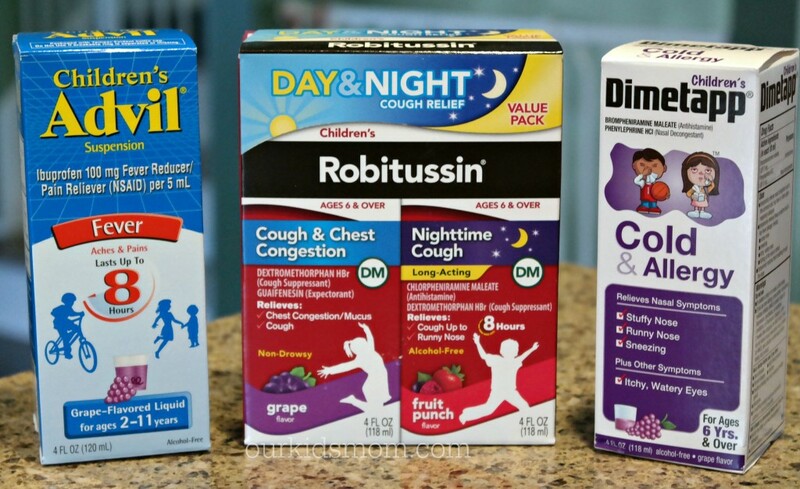 Keeping things like Children’s Robitussin® DM Day/Night Pack (Children’s Robitussin® Cough & Chest Congestion and Children’s Robitussin® Nighttime Cough) for coughs or Children’s Dimetapp® Cold & Allergy for other nasal symptoms on hand is a great idea. Make sure to read the packages for proper doses as some of these items are not recommended for younger children under age 6. Kids comfort items. A special blanket, stuffed animal, pillow or even simply a favorite movie can bring comfort if Sick just got real.™ and kids aren’t feeling their best. Make sure to have these ready and accessible so your child can find the comfort he/she needs. Frozen treats and juice. Whether it is an upset tummy or a sore throat that has them down, having frozen ice pops or juice on hand is always a good idea. These items can keep them stay hydrated and be soothing to sore throats. Ginger Ale or electrolyte solutions are also great to have on hand for upset tummies. Bone broth or broth based soups. It’s been said time and again that chicken soup is one of the best healing foods, and it all goes back to that hearty bone broth. Make your own or keep some in your pantry to provide your child with something hot and healthy to sip while recuperating. Antibacterial wipes. Whether you buy ready-made or make your own using natural cleansers, antibacterial wipes will make it easy to quickly clean-up and to wipe off surfaces around your child where germs may exist. Keeping the rest of the family healthy is also important, so fast clean-up is helpful, and wipes make it easy to manage, while still tending to your sick little one. Sick just got real.™ These must-haves for sick kids will help you be prepared no matter how fast that cold or flu hits your home. 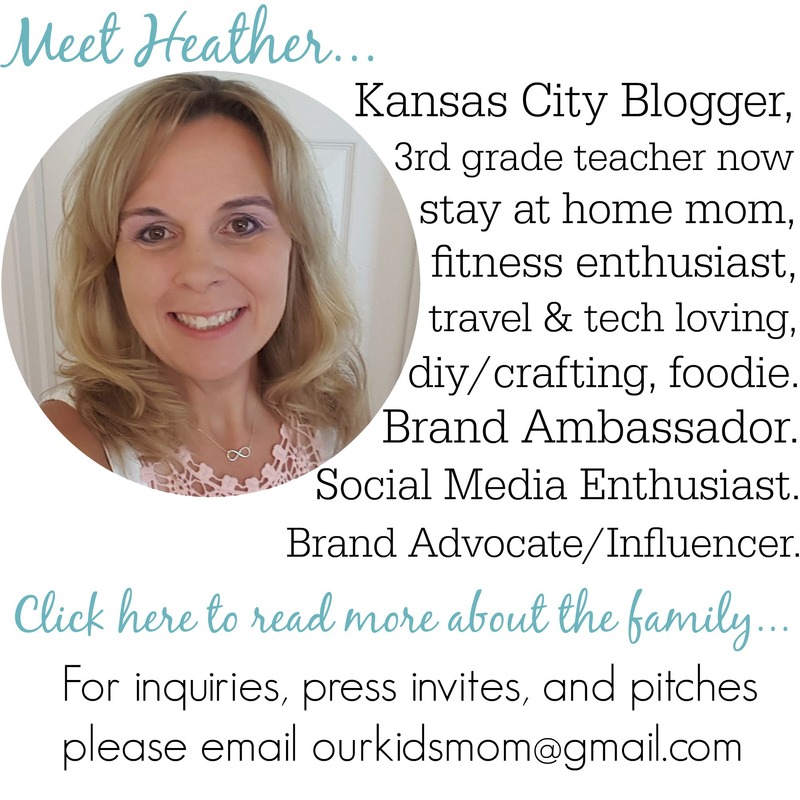 ONE OurKidsMom reader is going to win a Pfizer gift pack! This giveaway ends at 11:59 PM EST on March 25, 2016. I like the relief finder. Good to know which product will treat symptoms best. I learned that Children’s Advil has a Helpful resource guide you can download and print to have it right at your fingertips. I like the Save $1.50 on any (1) Infant’s or Children’s Advil® product coupon. I like the Robitussin Cough and Cold. We always have that in our house. It works great on kids and adults. I like that the Infants’ and Children’s Advil brings fever down fast. I like the Children’s Advil. It works great for our kids. Visited the site and learned Children’s Dimetapp® contains congestion-fighting power that relieves tough cold symptoms, in a great-tasting, kid friendly grape flavor. I learned that Children’s Robitussin provides targeted relief for Childrens cough and has flavors that Children love. I like that they have the relief finder on their website. I learned you can find the right medicine for your child based on symptoms! I like the Save In Store savings/coupons. I liked the relief finder where you put in your child’s symptoms and get information about what the problem could possibly be and what to use for it. I like the Save $1.50 on any (1) Infant’s or Children’s Advil® product coupon. Very good high value coupon! I like the offer coupon savings on Children’s Robitussin product, I need to pick up one or two bottles this week. Children’s Robitussin® provides targeted relief of the toughest coughs with a soothing liquid in kid-approved flavors. I like the sick hacks, any simple idea like this is great, just to help the little ones though this. It’s no fun being sick. I like the relief finder that helps find the best product depending on your child’s symptoms. I love the coupons on Robitussin, Children’s Advil, and Children’s Dimetapp! I found 3 coupons and also the section where you can find what product you need based on the child’s age and symptoms! I like the Childrens Advil. Also the $1.50 coupon in great. I entered the EDDIE THE EAGLE giveaway. I learned that Children’s Dimetapp® contains congestion-fighting power that relieves tough cold symptoms, in a great-tasting, kid friendly grape flavor. I like that I can save $3.50 in coupons. I really like the relief finder tool that they have. I like Robitussin, it is the only brand I use. I visited the SickJustGotReal site from Pfizer and learned that they have money saving coupons on they site to help with the cost of medicines this cold and flu season. I learned that if you have a baby 6-23 months old and has minor aches and pains, you should take INFANTS’ADVIL. I love the Relief Finder! So good to have suggestions on which to buy. I always have to read all of the labels before I pick which one I think is right! I like that I can save up to $3.50! I love the relief finder on the website, makes it easy to find out what you need for your child. Infants’ and Children’s Advil, Children’s Robitussin, and Children’s Dimetapp. I leaned that Infants’ and Children’s Advil brings a fever down quicker, and provides longer-lasting relief. I like their Relief Finder widget. I learned I can get a $3.50 coupon on their website! I learned that Children’s Advil® Suspension reduces fever fast* – even faster than Children’s Tylenol®. It lasts longer*, too – up to 8 hours with just one dose. I like the Save In Store savings and coupons. We always have the Dimetapp in our house. It’s the only medicine that will dry my daughter up. She can’t stand to be stuffy or have a runny nose so this is a life saver in our house. Thank you! The relief finder is very helpful. I like that they can match doses with children’s ages. i like the relief finder, figure out what to give for each problem and according to the age, and coupons available. i LEARNED THAT THEY HAVE PRINTABLE COUPONS FOR ME TO USE AT THE STORE. I learned that Dimetapp has been treating children’s cough, cold & allergy symptoms for over 50 years. I like Robitussin Cough & Congestion. I like the 3 coupons to save $3.50 (for Children’s Advil, Children’s Robitussin and Children’s Dimetapp). These are products we trust for our grandchidren. Advil is often my choice as it is not just pain relieving, but anti-inflammatory. Those easy to read thermometers are the best, when I was a kid, we did not have those. I always elevate the mattress because it helps the sinus drain easier and I think humidifiers are great. And there is always chicken soup! I like the $3.50 off coupon they offer on their website. I like the coupons they have on their site! I like the Relief Finder too! I think it is neat that they have the relief finder feature and online savings for their products. Also I have used their Children’s and Infant’s Advil in the past on my own sick kids and grandsons now and it works well and has provided them with the relief they needed to get thru the day and get a good night’s sleep. The relief finder is great! provides targeted relief of the toughest coughs with a soothing liquid in kid-approved flavors. i like the relief finder, i think this is a great tool b/c you can put in the age, etc. and find what is the right product, etc. I like the coupons you can get from their site. I’d like to try the Dimetapp long acting cough medics. I also like that they offer $1.00 off coupon. I love that you can save up to $3.50 !! I also love they have coupons on their site! I learned that you can click over and save up to $3.50 in coupons. Children’s Advil has a Helpful resource guide you can download and print to have it right at your fingertips. I really like the relief finder. I love the in store coupons. I learned that you can use Children’s Advil for minor aches & pains ! I the relief finder is great! plus I have to admit I noticed some coupons! I learned that there are money saving coupons for 3 different products on their site right now. I learned that you can search by your child’s age and symptoms. I liked that there are coupons! We love and use Childrens Advil. Great for pain and fevers for children. The Relief Finder on the website to help find the product that’s best suited to relieve your child’s symptoms is great. With so many products available it’s sometimes hard to know which one is the right one. I’ve always been a huge Dimetapp fan and an avid giver of Advil. I love the coupon offered! I absolutely LOVE Children’s Advil! It was the only thing I would give my kids when they were sick. My kids never had a problem taking it either. They actually thought it tasted good, which is great when it is 3am and you need your sick kid to just take the darn medicine! haha God bless everyone! I learned that they have coupons on the site and you can save up to $3.50 ! There is a system relief finder based on age and symptoms. I like that there is a “relief finder” on the website. You can plug in your child’s symptoms and it will recommend the right product for relief. I like that there’s a coupon to save up to $3.50. I like that they offer a coupon on the main page. I used to love Children’s Dimetapp as a kid. If I ever have kids, I will give them that! I like the relief finder. It’s good to know what to use for which symptoms. Very handy. Coupons! I learned I can get coupons there. I need to remember to check manufacturers web sites. 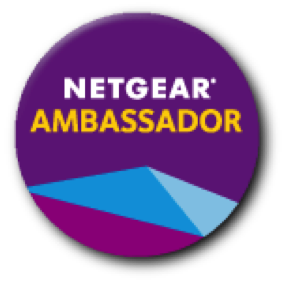 I entered the netbook giveaway. I love sites that offer coupons on their products. The Children’s Advil is wonderful. I learned that there are $3.50 in coupon savings to purchase these products for children. We always keep Children’s Advil on hand. It works great for us. We use children’s Advil and I always keep some on hand, even though my kids are grown. The grandkids don’t mind the taste. I like the $3.50 coupon off on products. I like that I can save up to 3.50 dollars on their site. I like that they have a relief finder where you can put in the child’s age and symptoms. I entered Open Season: Scared Silly and $25 Visa giveaway. I love the Robitussin Cough & Chest Congestion formula. We use Advil all the time. We have the Infant’s Advil. I like the Robitussin Cough and Cold during cold and flu season. I need to get the infant and children’s advil. I learned that there is a dye free in the infant and children’s advil. I really like that. I love that they have a symptom finder. I learned that the site has coupons to save up to $3.50 between the different medicines. There is also a “relief finder” app on the website to search for what to do for your child depending on age and symptoms. I liked their cringe-worthy moments!! So funny, they definitely made me cringe! Some of them you don’t always think about when you think about preventing the spread of germs and why a kid gets sick. I like that they have coupons such as $1.50 off any Children’s Advil product. i want to get some robitussin. i love being able to save some $$ using those coupons. I like the Relief Finder. I think it’s great they have a way to input symptoms and age to find out which would work best. Power through your day with a NEW enhanced formula that soothes your irritated throat and provides fast and powerful relief from your worst cough, cold & flu symptoms. Get daytime relief with this better tasting* maximum strength formula — now available in new raspberry mint flavor. I like that there is a coupon for $3.50 on the site. This is so awesome. I learned that you can save $3.50 on their site with coupons. This is wonderful because I have tons of friends with little ones who could be using this! they have $3.50 in coupons on their page! 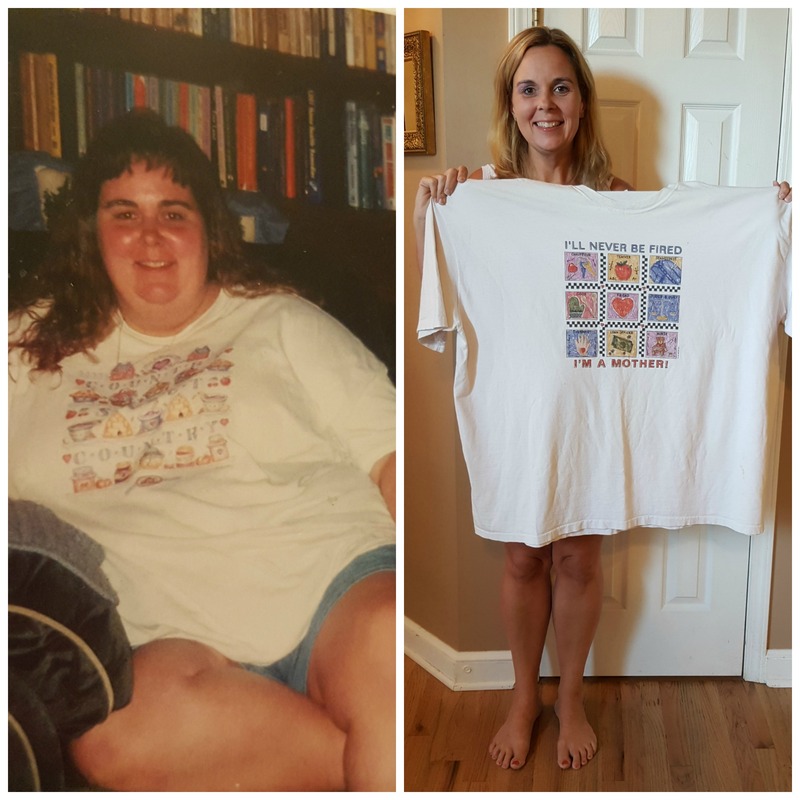 I like the symptom finder and the printable coupon. I printed off a few coupons from the website. I learned you can get coupons. I really like their relief finder. It lets me find just the right medicine for their symptoms and ages. I like how they have coupons on their website. Dimetapp has been treating children’s cough, cold & allergy symptoms for over 50 years. I learned that Pfizer has programs that can help Americans without prescription coverage save on many Pfizer medicines, no matter their age or income. People with limited incomes may even qualify to get their Pfizer medicines for free. I learned that Children’s Advil comes in two different boxes. I think it is great they have infant and children.